When the madness of the world is too much to bear, we take refuge in the stories we love. When the madness of the world is too much to bear, we take refuge in the stories we love. Tony® and Grammy® award-winning creators of Spring Awakening, STEVEN SATER and DUNCAN SHEIK, reunite for their new musical, inspired by Alice’s Adventures in Wonderland, and directed and co-written by JESSIE NELSON (Waitress). Alice by Heart will run at the Newman Mills Theater as part of MCC's inaugural season. Alice falls down the rabbit hole once again in the new musical “Alice By Heart,” inspired by Lewis Carroll’s classic tale “Alice’s Adventures in Wonderland.” This time, however, “Spring Awakening” creators Steven Sater and Duncan Sheik set the story amid the aftermath of the London Blitz of World War II in the troubled 1940s. With Alice Spencer’s (Molly Gordon) best friend Alfred (Colton Ryan) sick and dying, the teens decide to dust off their beloved childhood book for an escape to a magical world fueled by Alice’s imagination. Duncan Sheik and Steven Sater’s last collaboration, “Spring Awakening,” took home Tony Awards for Best Musical, Best Book (Sater) and Best Score (Sater and Sheik), among others. Every performance day, on a first-come, first-served basis, a limited number of $25 mobile Rush tickets for "Alice By Heart" will be made available. To unlock this feature, MCC Theater simply requests that you spread the word on social media through the TodayTix app. Once you unlock, the feature will remain unlocked for that show until you make a purchase. Unlocking does not guarantee availability for that day. Tickets are available on a first-come-first-serve basis. Rush price is subject to change. Please note there will be NO RUSH on the following dates: 2/1, 2/2, 2/6, 2/7, 2/8, 2/12, and 2/14. Company may offer programs whereby the Company would make available certain features of the Services when you share information about the Services through an SNS or click on the “Unlock without sharing” button in the Application. 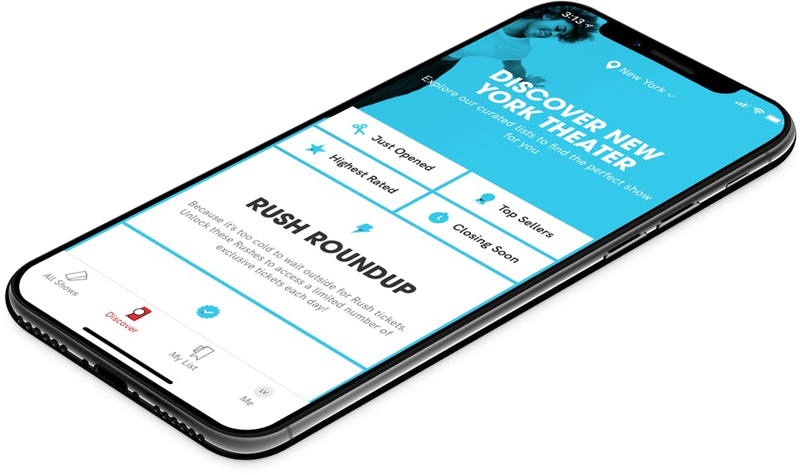 When you are considering purchasing a ticket for a specific show or after you purchase a ticket, if you select the “Share” button in the Application, Company will make available to you a personalized link to a Digital Property with text stating, for example, “Check out Alice By Heart on TodayTix! I’m thinking of going…” or something similar, which you may choose to share with your friends via SNS. Once you have shared the personalized link through an SNS using the Application or selected the “Unlock without sharing” button in the Application, Company will make available to you the RUSH feature, which will provide you with otherwise unavailable offers for tickets to live events occurring in the next week. The opportunity to take advantage of these offers is only available to users who share a personalized link to an SNS through the Application or select the “Unlock without sharing” button in the Application.